Fernandez Honda of San Antonio, TX is proud to support the Susan G. Komen Foundation and Breast Cancer Awareness. We believe strongly in giving back to our community in positive ways. 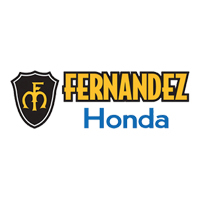 In October 2017, Team Fernandez Honda donated $4,240 to Susan G. Komen San Antonio as a result of our Breast Cancer Awareness campaign. We hope that by increasing awareness among our employees and our customers as well as through our financial contributions, we are able to do our part to help find a cure.